Real Workin’ Buddies Mr. Dusty is a fun way for kids to learn to clean up their toys! Dusty can eat it up, sweep it up, and dump it out! Dusty has a motorised mouth to eat up bigger toys, plus lights and sounds too! 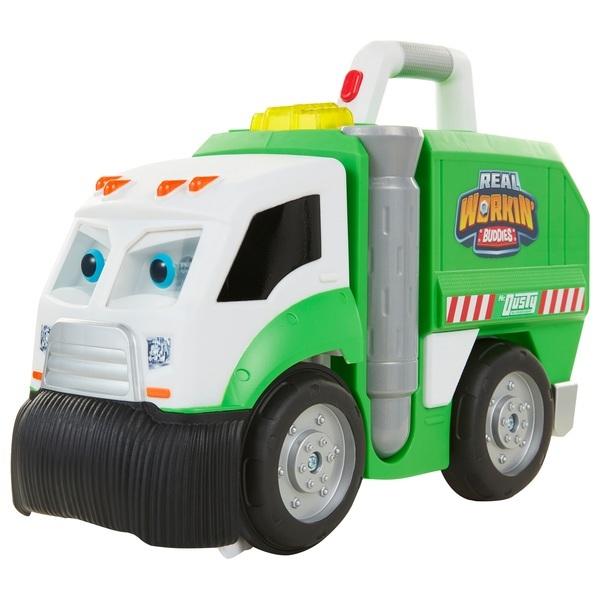 Dusty the Super Duper Garbage Truck has a fun personality with multiple sounds and voice noises and it works on both carpet and hardwood floors!